Kent County Council don't make it easy to sign petitions but please sign this one! We the undersigned petition the council to adopt a presumption against development consent for exploration or extraction of fossil fuels in Kent. 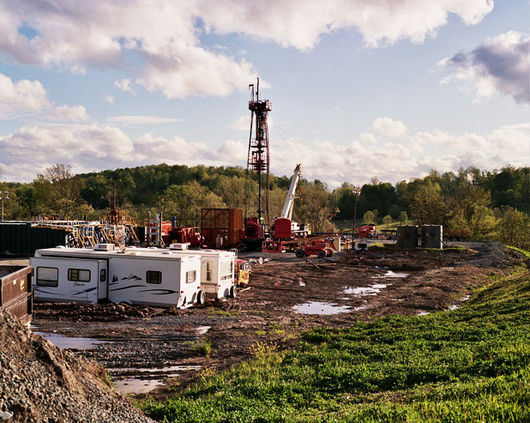 The presumption against development should include, but not be limited to, extraction of shale gas, shale oil, coal bed methane and underground coal gasification, whether by hydraulic fracturing (fracking) or other means. Sustainable development is defined as development that meets the needs of the present without compromising the ability of future generations to meet their own needs. Development of onshore oil and gas cannot be sustainable for the reasons set out below. 1) It is not sustainable to develop new sources of fossil fuels. If climate change is to be limited to 2°C, which is necessary to avoid catastrophic impacts, 80% of proven fossil fuels reserves cannot be burnt. We note that, with one quarter of the county less than 5m above sea level, Kent is very vulnerable to the rise in sea level that will result from our changing climate. 2) All water supplies in Kent are severely stressed. Fracking requires very large quantities of clean water (almost 19 million litres per frack). There is not an adequate water supply in Kent to sustain fracking. 3) Fracking produces very large quantities of polluted water which contain radioactive elements from deep underground. Water treatment plants cannot safely dispose of this waste. 4) Water supplies can be polluted by fracking due to pollutants leaking from the shale rock, or from wells drilled through an aquifer. There are many cases of water pollution from fracking documented in the USA. 5) Kent’s roads are already busy with many heavy goods vehicles. Development of onshore oil or gas extraction would require many truck movements, increasing the heavy vehicle goods traffic on Kent’s major and rural roads. 6) We value the peace and amenity of Kent’s countryside, and oppose onshore oil and gas development that would industrialise rural Kent. Production from onshore wells is short-lived, requiring many wells to be drilled. 7) Financial analysts, the Chancellor and the onshore oil and gas industry all accept that development of shale oil and gas in the UK will not reduce the price of gas.